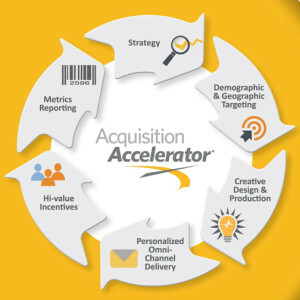 Our client implemented a turnkey checking acquisition solution that extended highly personalized offers in an attractive self mailer at saturation pricing. With it, they executed a multiple-drop direct mail campaign designed to reach individual prospects and existing account holders in specific households with unique, actionable messaging. The highly targeted mailing list was derived from a combined database of 1,400 variables grouped into three categories — demographic, purchasing potential and lifestyle/behavioral — to show consumer potential interest in an offer. 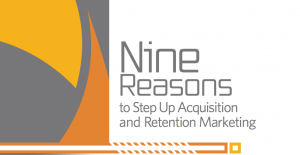 Findings from this industry survey offer timely statistics and ideas on how to acquire new, more active customers while expanding existing financial relationships.